The rapid decline in India’s Rupee requires structural reforms to sustain economic growth, according to the QNB Group. India’s role as one of the world’s growth engines is waning as the Rupee declines rapidly and its economy shows increasing signs of slowing down, according to analysis report by the QNB Group. The Indian Rupee has been the worst-performing emerging market currency since May 2013 against the backdrop of deepening concerns over the authorities’ policies. 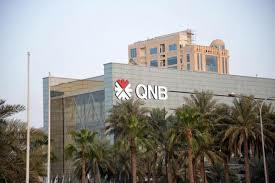 Higher interest rates and a liquidity squeeze, together with the tightening of gold imports and capital restrictions to reduce foreign exchange outflows, have not stemmed the Rupee decline, said the QNB Group report released here on Saturday. The report said that such a policy response is merely undermining the growth momentum in the economy. A more appropriate response would be to expedite the process of structural reforms that could sustain economic growth over the medium term. This would be similar to the first wave of liberalization in the early 1990s engineered by then Finance Minister Singh that led to two decades of higher growth and lower poverty for the Indian economy, the report said. The current situation draws similar parallels to the Indian balance of payments crisis in the early 1990s. In 1991, investors deserted India in the aftermath of the first Gulf War. This resulted in rapid capital outflows, a depletion of international reserves, and an IMF program to restore financial stability. At that time, the newly-appointed Finance Minister Singh took the opportunity of the financial crisis to end the decades-long “licensing raj” a system of elaborate licenses, regulations, and red tape that had stopped the Indian economy from achieving its growth potential. The results were impressive. Since the mid-1990s, the Indian economy managed to grow at an average annual rate of 6.5% and poverty was significantly reduced. The state of affairs today is similar to 1991. India suffers from the largest current account deficit in Asia bar Myanmar, foreign direct investment has stalled, and its international reserves are falling rapidly. Notwithstanding strong real GDP growth of 5% in 2012, there are increasing signs that the economy is slowing rapidly this year, with exports falling by 4.6% in Q2 and the Purchasing Managers Services Index (PMI) signaling a contraction in manufacturing. It is therefore likely that real GDP growth will be less than 3% this year. The authorities’ policy response to the decline of the Rupee has been to reduce foreign exchange outflows. The Reserve Bank of India has repeatedly raised policy rates in the last few weeks to defend the Rupee. At the same time, restrictions on gold imports and capital outflows have been tightened to reduce foreign exchange outflows. This policy response has backfired, with the Rupee continuing to decline rapidly against the US dollar notwithstanding the highest yield on Indian 10-yr bonds since 2008. Clearly, short-term measures of this kind are not going to be enough to restore confidence. According to QNB Group, the origin of the rapid decline in the Rupee is the ever-growing Indian current account deficit over the last 10 years. The widening deficit reflects a structural weakness in Indian exports, which have stagnated since 2011, while imports continue to grow at a rapid pace on the back of higher domestic demand. This ever-growing current account deficit was financed up to April 2013 through higher capital inflows to emerging markets (EM), which kept the Indian Rupee relatively stable. Since then, however, there has been a significant withdrawal of EM capital flows reflecting concerns about the impact of a possible tapering of Quantitative Easing in the US. For India, this has exposed the underlying unsustainable weakness of its current account deficit, which can only be addressed through a significant decline in the value of the Rupee. Such a decline has already resulted in a jump in exports in July. However, further declines will be necessary in order to bring the current account back to a sustainable level. The underlying problem of the Indian economy is therefore rooted in an uncompetitive export sector, according to QNB Group. Only structural reforms aimed at liberalizing the domestic economy and reducing India’s still relatively high cost of doing business can therefore restore competitiveness and bring about higher economic growth. This requires another wave of economic liberalization as in 1991. Without such reforms, the Indian tiger is unlikely to roar again.